Large industrial scales were recently commissioned by Accuweigh for weighing waste sewerage by-product at the Merrimac Waste Water Treatment Plant. The waste sludge is fed into the 120t capacity heavy industrial scales by dual conveyors and then an auger/conveyor combination empties the sludge from the industrial scales into waiting trucks. 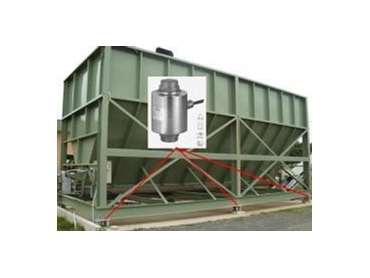 This industrial hopper scale is mounted on 6 x 30 tonne Flintec load cells which are of full stainless steel construction and rated for IP69 applications. The industrial scales dimensions are 10m long x 4m wide x 5m high with a holding capacity of 120 tonnes. These industrial scales play an important part in the treatment process by not only tracking the volumes of waste product produced but by also ensuring the trucks transporting the waste are not overloaded. Accuweigh’s Brisbane branch completed the installation of the industrial scales as a part of a multi-million dollar waste water project by Gold Coast Water with the sludge then being delivered free of charge to local market gardeners for rejuvenating soil.